RBI Governor Raghuram Rajan got it horribly wrong when he amended PM Modi’s “make in India” program by adding a “make for India” byline in his FICCI address yesterday. What on earth could he have meant? Was he implying that the domestic economy should be further insulated from foreign competition? That is the only way domestic industry can be induced to make only for India, rather than for the World, including India? How does this “home centric” approach fit with his view, reiterated in the same FICCI event, that the economy needs to be more open. In an open economy business “makes” for markets worldwide because production and value chains are transnational and product standards, designs and prices converge across the globe squeezing out fat. Indian industry did “make for India” pre the 1991 liberalization. The result was a small, fat big-business set; high prices; shortages and shoddy goods. The biggest achievement of liberalization is a convergence of product standards towards international levels because of import competition and the ample and ready availability of goods- except where government erroneously continues to believe that fixing maximum prices for goods and services can work. It does not, as we can see in electricity supply and now in drugs and pharma where shortages are resurfacing. Exhorting Indian industry to restrict itself to the domestic market is an ominous sign of the export pessimism rampant in the pre-liberalisation period. Does this also mean that Governor Rajan will keep the INR unreasonably strong to keep imports (petroleum products) cheap at the expense of export competitiveness? Surely the defence manufacturing we are initiating is not just meant for domestic consumption. Unless Indian armaments are in regular use in conflicts and wars internationally, how can we possibly be sure of their quality or get the “consumer” feedback for quality enhancement? Maybe Rajan’s “rock star” status as an economic wizard got the better of him. After all, PM Modi’s penchant for acronyms and by-lines has now become national mania, rendering intelligible conversation impossible, littered as it now is, with 3AAA and 5Cs. But trying to best the PM can be fatal, even for an outstanding, independent regulator. Even the US President would look askance at the Fed. Chair speaking, out of turn, outside her circumscribed official ambit. But on matters more related to his current charge, he got things right, as usual. In a downturn, especially with inefficient and wasteful government machinery, it is a better to leave income in the hands of the earner rather than transfer it to government via higher tax rates. The “income effect”, enhanced by the low inflation target of Gov. 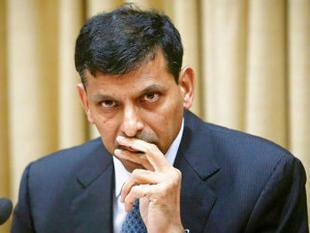 Rajan, induces consumers to spend and feeds into demand led private investments which is good for jobs and growth. The conundrum, if tax rates are to be relaxed or if tax exemptions for savings enhanced, is how to balance the budget? Here is a list of the “low hanging fruit” available. First, our traditional expertise in going around with a begging bowl is best. PM Modi is prescient in aggressively seeking external grants and concessional funding from the word go. The challenge now is converting pledges into cash flows. Second, ruthlessly cut revenue expenditure, particularly on general administration. This is a necessary “evil” to show that the government means business. Third, our annual public investments are barely 12% of total expenditure. This requires stopping gold-plated construction and using the existing space better. Witness the new, palatial External Affairs Office complex in Delhi, which remains underused because it is far from the South Block-located-PMO. Anyone housed in the new office attracts the unwelcome tag of being farther from the powers-that-be than even the mother ministry. Using the available space rationally, simply by squeezing government servants together can help. Today, senior officers occupy office rooms often much larger that the living room of their government allotted homes. Notice how even mid-level government officers do not work in “row cubicles”, as in private firms and there are no common-use spaces for work meetings. Every office is designed to accommodate a “durbar” suitable in size for the concerned officer – this is reminiscent of the hierarchy of “Princes”, established by the “Raj”, based on the number of guns fired in salute of a Prince. Slashing perks like liberal use of office provided phones and cars and a cut on travel budgets are also necessary, albeit symbolic measures, for flagging the need for economy. Fourth, more substantively, using the existing government investment in State Owned Enterprises (SOEs) more aggressively can help. For starters, increase the dividend payout ratio from 44% to 66%. This adds around Rs 25,000 crores to revenue – only 1.4% of the total budgetary resources – but sufficient to increase the central plan expenditure by a hefty 25%. Higher payouts and consequential constrains on accessing internal resources will also force SOEs to become leaner and look for alternative PPP models for financing operations and investments. Listing more SOEs on the stock exchanges and launching an aggressive privatization program can leverage the economy; attract foreign and domestic private investment and create more fiscal room for Greenfield public investments. Governor Rajan in right in predicting strained economic circumstances in the near term. But hiding behind the default option of producing only for our huge domestic market and hapless domestic customers, is not the answer – nor is tight market segmentation between the domestic and overseas markets possible. God save us from anyone advocating a back-to-the-future strategy of turning resurgent India into a fortress.